Seems like the term “manager” has taken on a decidedly negative connotation these days; “leader” has become the preferred term for supervisors and heads of companies. Leader implies positivity, innovation, vision, support, and more, while manager conjures the image of a paper-pushing, micromanaging boss. Which would you rather call your “bosses”? Turn your managers into leaders and start 2015 off strong with these great leadership development courses! Have you mastered the five characteristics of extraordinary leadership? What separates mediocre leaders from the truly great? 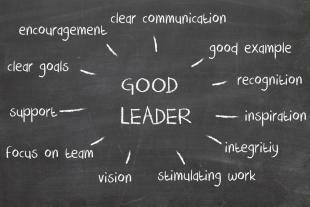 This course will teach you the five characteristics and help you become an effective leader. Beneficial for all levels of management, this 30-minute course is a must for turning your managers into leaders. Learn to communicate more effectively with your team by understanding the disadvantages of passive and aggressive behavior, the benefits of assertiveness, and that the way in which you make your point is just as important as what you’re saying. This 2.5-hour course will have you on the path to respectful assertiveness in no time. Addressing problem behavior can be a tricky skill to master. As unpleasant as it might seem, with the right training, leaders can both preserve the individuals self-respect and encourage the best type of discipline: self-discipline. This 2-hour course focuses on interpersonal skills and communication while working to improve leadership skills.